A wonderful day in the Loire Valley Region located at 100 miles far from Paris. Our guide will pick you up at your hotel early in the morning around 7.15 am to allow you to spend a full day in this charming French “province”. It is called the “Valley of the Kings” as this valley was much loved by the Kings of France from the time of the Capets in the 11th century and then the Valois and the Bourbons up to the 19th century. 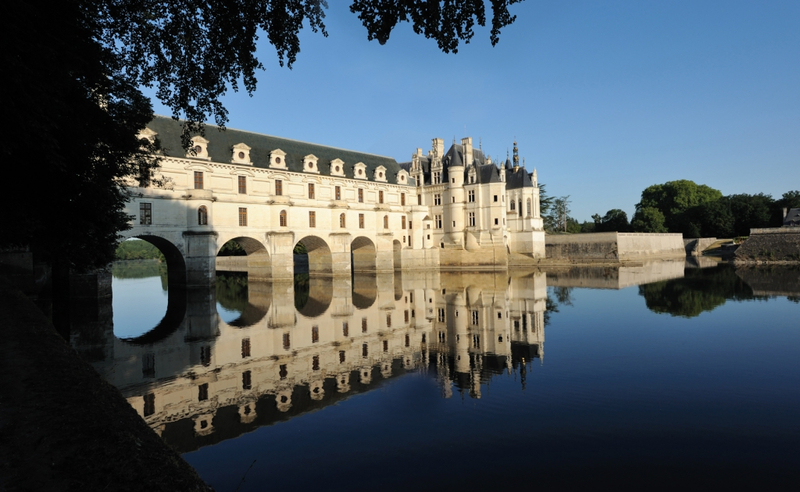 In total there are 25 palaces built by the kings and embellished with parks and gardens of which the most famous : Chenonceau, Amboise and Chambord you will visit. The Loire valley is also famous for its vineyards and family cellars established into the Tufa stone cliff. Amboise, Chinon, Saumur, Bourgueil, Vouvray…are some of the best wines of France. You will first have around 2 hours drive through the magnificent French country side of La Beauce, l’Orléanais and la Tourraine before reaching the first castle. 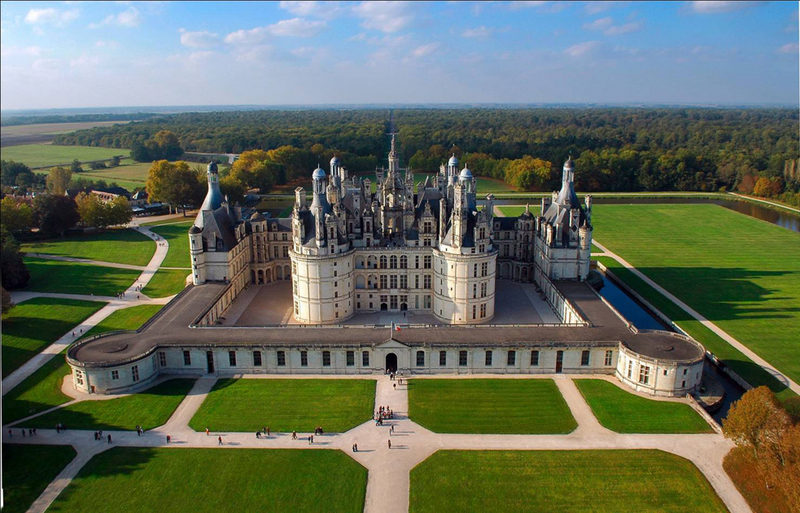 Chambord is the most fascinating chateau of the Loire Valley. King François 1st realised a dream in designing an architectural masterpiece combining the tradition of the French master masons with the lightness of Italian Renaissance buildings. Attributed to Leonardo da Vinci , its design is distinguished by its incredible double-return stairs. Bristling with numerous chimneys, turrets and dormer windows which seem to lift it up towards the sky, Chambord recalls the wondrous tales of chilvary. The façade is 156 meters long and 56 meters high. It contains major collections. The Chambord estate is the largest enclosed park in Europe and still homes an abundant wild fauna. Chenonceau is called the “ladies castle”. Built in the 16th century on the river Cher, it was the residence of Diane de Poitiers and of Catherine de Medicis Queen of France. 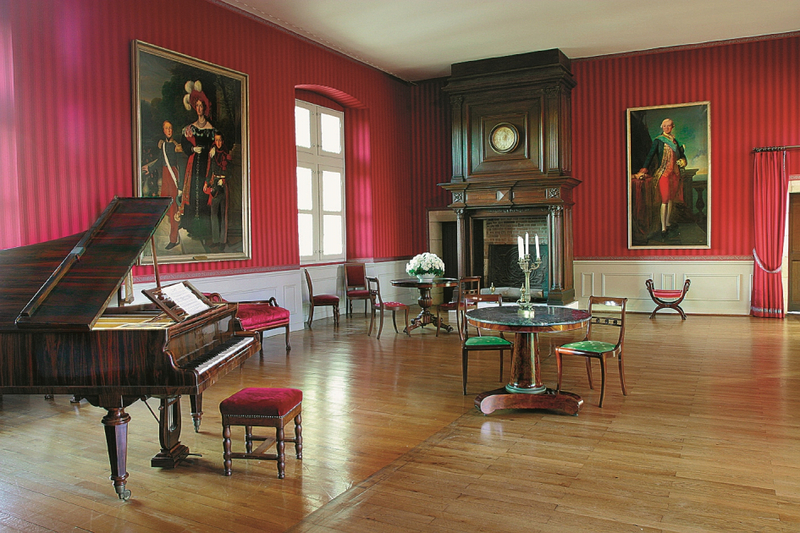 Chenonceau is not only remarkable for its architecture and history but also for the fine quality of its collections as can be seen from the inside visit: Renaissance furniture, a vast ensemble of 16th and 17th centuries tapestries and a great number of masterpieces. Le Primatice, Rubens, Le Tintoret, Rigaud, Nattier, Van Loo are among the most famous names that can be found there. The lovely surroundings, the formal garden and the park surrounding it add to the impression of delicate grace emanating from the castle. You will spend a couple of hours in this charming place where you can also have a quick delicate lunch on your own at the castle’s restaurant called l’Orangerie before joining Amboise. Amboise was built in the 15th and 16th centuries. This authentically royal palace introduced the Italian style to the Loire Valley. A historical place with the presence of an exceptional collection of gothic and Renaissance furniture. In the castle’ St Hubert chapel you will pay a visit to the Da Vinci tomb recently renovated. As an alternative to the Amboise chateau you can also choose to visit the legendary Clos Luce situated at 600 hundred yards up from the Chateau. This is the handsome Renaissance manor of Leonardo da Vinci where he spent the last four years of his life. It displays a dozen full size renderings of machines designed by the genius man. 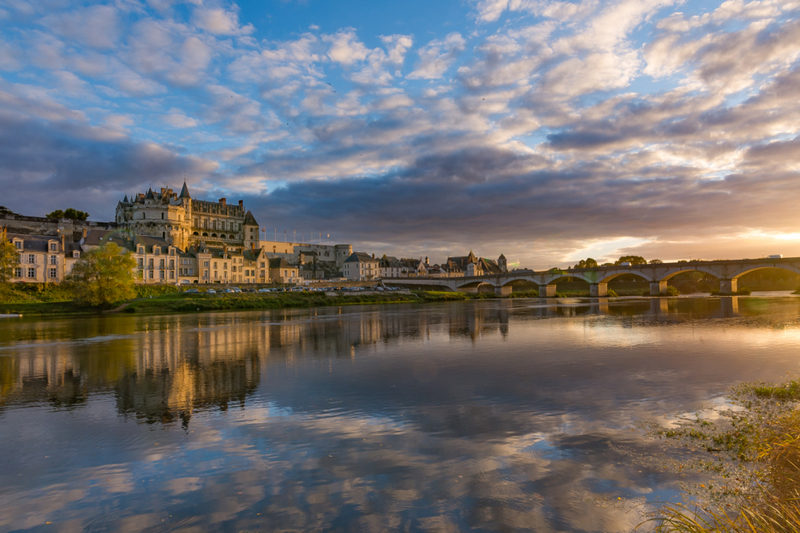 In Amboise you will visit the famous PLOU family cellars where you will taste some of the best vintage of the region you will be able to buy if you pleased. You will then come to Paris and drop off at your hotel where you will arrive around 7.00 pm after a unforgettable day in the valley of the Kings. You can choose on a private basis every day of the week.